Welcome to Rynearson, Suess, Schnurbusch & Champion, LLC. We are an AV Rated Law Firm of civil trial attorneys, established in 2000, based in St. Louis, Missouri. We handle cases throughout the Midwest and beyond. 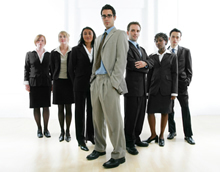 Our partners have over 100 years of litigation experience. Please feel free to browse our website to learn more about us. 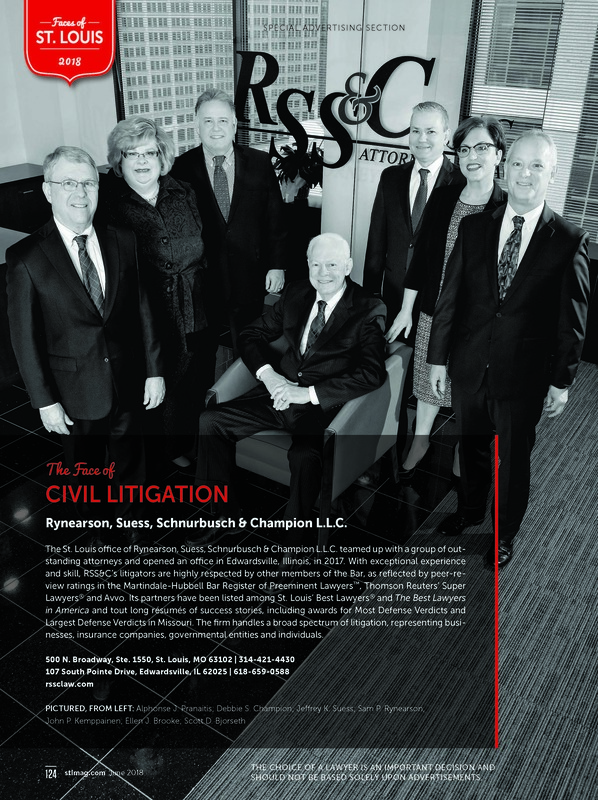 Read the article featured in St. Louis Magazine about Rynearson, Suess, Schnurbusch & Champion. Read cases that exemplify the work done at Rynearson, Suess, Schnurbusch & Champion. See the types of companies Rynearson, Suess, Schnurbusch & Champion represent. See the article in St Louis Magazine about Rynearson, Suess, Schnurbusch & Champion. The choice of an attorney is an important decision and should not be based on advertisements alone. No information presented on this website is intended as legal advice or claims to specialization. Every case has unique circumstances. You should seek the counsel of an experienced attorney to learn how the law may apply to your unique circumstances. Use of the website, including email and forms, does not form an attorney-client relationship. Email, form submissions and other forms of digital communication are not a secure form of communication. Please do not send sensitive information in this format.